Love of the outdoors is truly a lifestyle. One of the advantages to building a custom home is the flexibility afforded to designing spaces that support all aspects of your lifestyle and needs. In addition to finding the perfect piece of land for sale in Iowa for your new home, creating spaces that support your appreciation of the outdoors is a key component in building a custom home. Entertaining outdoors doesn’t have to put your guest directly in the elements themselves. When building a custom home design a space with protected areas or glass windows that can slide out of the way to open the room to the outdoors is a beautiful option. 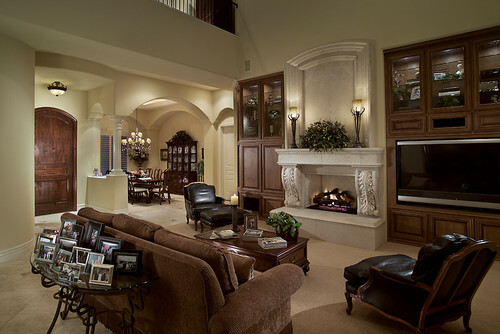 Incorporating a fireplace element gives you a room that can truly be enjoyed by you and your guests year-round. A built-in kitchen and bar area will allow you to stay in the mix of party instead of having to move back and forth from the patio to the kitchen. Incorporating chairs, couches and benches will provide your guests with ample room to mingle within the protection of the outdoor space. 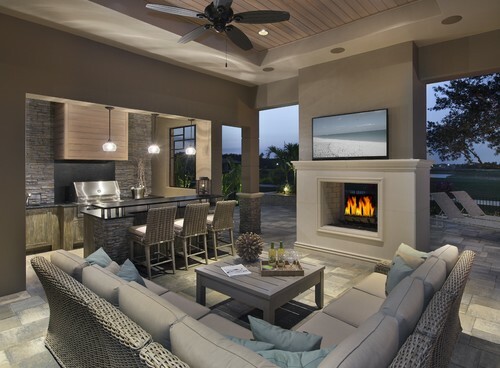 And adding a flat screen and a grill turns the elegant space into the perfect place for a football watch party. Not all your guest will want to stay undercover, so incorporate spaces throughout your backyard where they can gather comfortably. Benches and tables around lush landscape or sculptures create spaces that will naturally call your guests to gather. 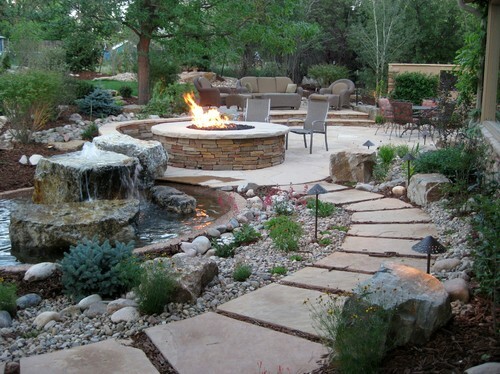 Add a touch of ambiance and a source of heat for your guests with a beautiful fire pit in your main seating area. 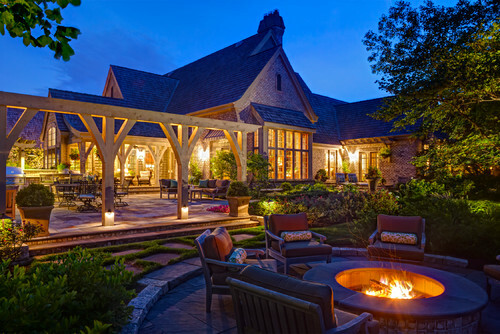 A fire pit creates an area where your guests can gather and mingle in warmth while still being able to enjoy the beauty of the night time skies. Are you more of an outdoor enthusiast? Then why not create a space with everything you and your guest will need to enjoy a relaxing afternoon in while still being able to connect with the surrounding landscape. Just because your space is more exposed to the elements doesn’t mean you have to give up luxury. When building a custom home with an exposed outdoor space, use materials such as marble or slate for your grilling areas. Both stand up to the elements well, are easy to clean and will create the perfect area prep and serving space for your meals. Flat screens and surround sound are still available with this more exposed outdoor entertaining solution. Design a beautiful housing unit in wood, stone or steal with a closing door or window to protect your flat screen from the elements. And incorporate weather resistant speakers throughout the space. The final element for creating stunning outdoor spaces for entertaining brings the calm of nature into your space. Water elements placed throughout your space provide a natural acoustical background element as well as beautiful areas where guests are sure to be drawn. Not only will the water elements provide a natural sense of elegance within your outdoor space, water features can also create stunning architectural elements which are sure to catch the eye of your guest. Are you ready to begin building a custom home in Iowa with the perfect outdoor space for entertaining? Then contact us for your initial consultation and let us know what you want in your dream outdoor entertaining space. 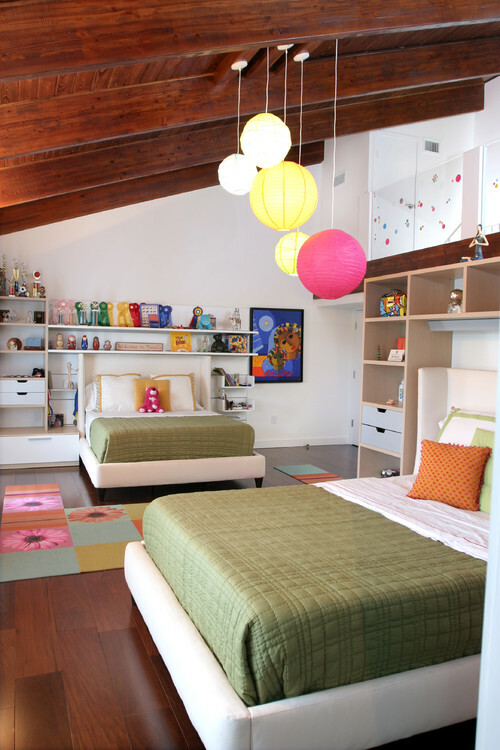 When building a custom home, every aspect is tailored to your lifestyle and needs, including your kids’ rooms. Regardless of their age, creating spaces that are inviting, flexible and come with lots of storage is one of the things we do best. Here are a few ideas to inspire the perfect room for your child. Designing a space for multiple kids poses a unique challenge: how do you create a space that gives each child their own sense of identify and ownership? Built-in shelving and cabinets provide ample storage for all their treasures, clothes and toys and will also help in outlining each child’s own individual space. A fold down desk built into the wall or cabinet is also a great space saving way to provide each child with their own working space, perfect for doing homework or creating an artistic masterpiece. Big or small, when building a custom home creating a room with ample storage, room to play and an area for sleeping is key. To maximize your space, why not consider building up instead of out? 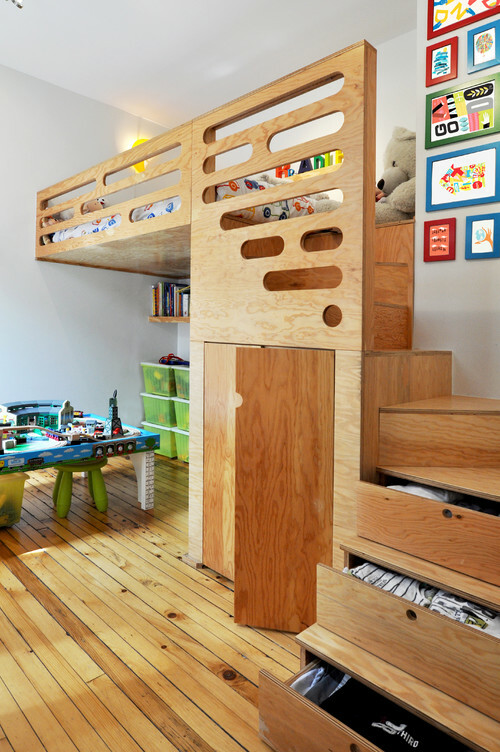 Create a loft for a sleeping or lounging to allow for plenty of space on the floor for play. A ladder is a great way to access the loft, but stairs are even better as they provide a studier structure for your child to climb up and down from. Stairs also give you an extra storage area that will blend perfectly into the room’s overall design. 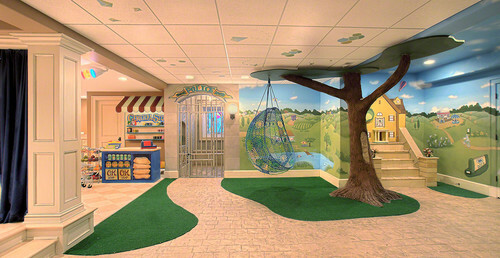 Add to your child’s creativity and play by designing a unique way for them to move from their bedroom into the playroom. 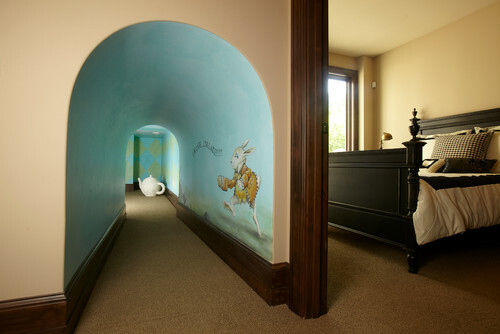 A child-sized archway or tunnel between the two spaces creates an instant portal to adventure. An ornate small door will also give your child a pathway for community back and forth between the two rooms with ease. No playroom in your plans? Then give your child a small area ideal for hiding out in from pirates turning into a time machine, taking their imagination to far away destinations. A mini closet provides this addition play area for your imaginative little one. A huge advantage with building a custom home is the limitless design flexibility. Incorporating built-in elements like a stage, a thinking tree, a climbing wall or a bistro will provide a boost to your child’s playtime activities and take your playroom from fun to utterly magical. Ready to begin building your Iowa custom home? Then contact us to schedule an initial consultation and let us help create a special room especially for your little ones. Drive down the street of any old neighborhood and you’ll see it: the rich architectural design of some of Des Moines most beautiful historic homes. 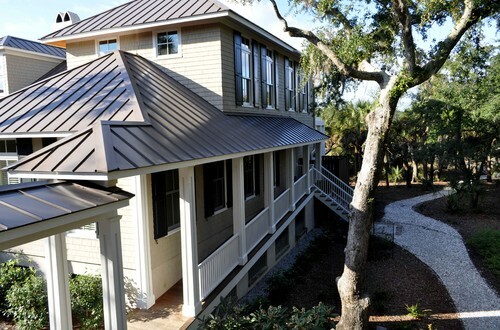 If you love the traditional exterior look of historic homes, but prefer modern design and energy efficient construction, building a custom home offers the perfect solution. 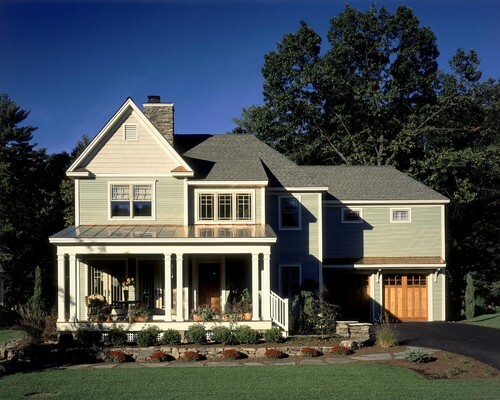 Here are four exterior design ideas to inspire your own new Iowa home design. 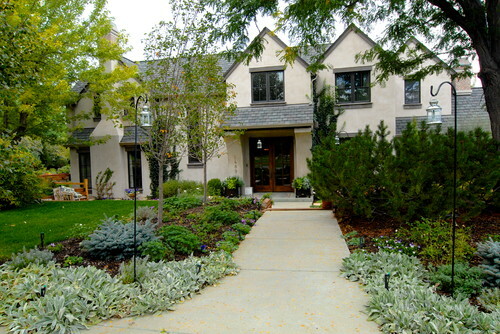 Stucco is ideal for creating a traditional aristocratic Baroque or California inspired exterior. This durable medium is able to beautifully cover a concrete, metal or wood building base and stands up exceptionally well to the varying weather conditions of the Iowa landscape. The flexibility of stucco allows for customized coloring, so your new Iowa home can be exactly the shade you desire. Cedar shingles are a refined, modern solution for your Victorian and Craftsman inspired new Iowa home. 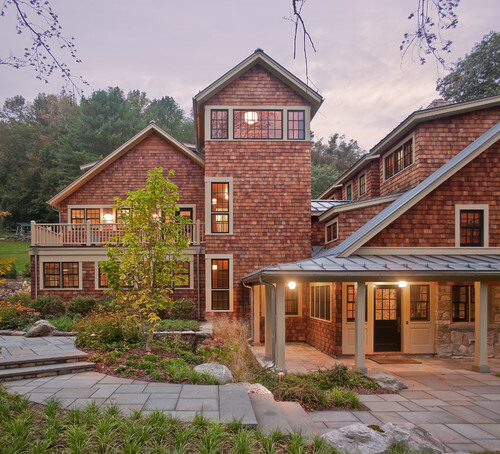 Unlike Shaker shingles of the past, today’s modern cedar shingles are mill crafted and lay flat to provide a longer-lasting, more weather-resistant exterior. 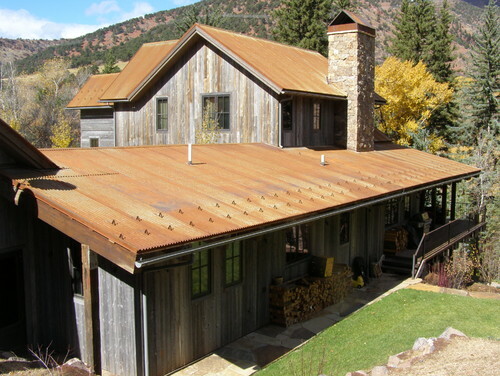 Maintenance for cedar shingles is minimal and easy as they can be replaced one at a time versus the more intrusive, full strip or complete side removal required by other building materials. The classic English countryside feel of stone exteriors is a sophisticated look that will always remain in style. When building a custom home rock, stone or slate materials can be used to achieve this elegant exterior. 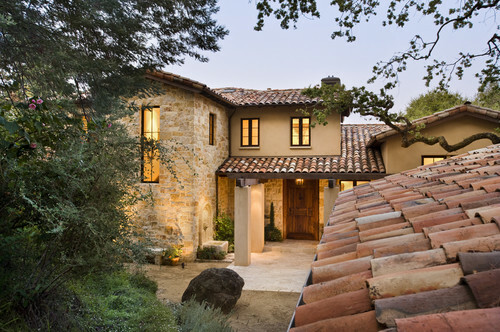 Over the course of past centuries, stone exteriors have proven to be a long-lasting option that can withstand a variety of climates and weather conditions. For a truly modern spin on the traditional style, incorporate a variety of building materials into the exterior of your new Iowa home. Stone, metal and stained wood provide a polished look, oozing with charm and character. No matter your design style, we’ll help you create a new Iowa home with a traditional feel that’s uniquely your own. Ready to get started? Contact us to schedule an initial consultation and take the first step towards building the custom home of your dreams. When building a custom home, creating the design that’s as perfect for your family today as it is in the years to come is one of the core principles of Woman Centric Design. We follow the four guiding principles of Woman Centric Design including flexibility, de-stressing, storage and entertaining in every new Iowa home we build. As one of the most used rooms in any home, the living room is command central for holiday celebrations, family night and cocktail parties. Being able to sufficiently accommodate this wide variety of activities requires plenty of storage space for part essentials, games and electronics. Oversized built-in shelving is an adaptable solution to living room storage needs. Cabinets created to fit your entertainment center will blend seamlessly into your living room design, while cabinets with glass doors where your entertaining crystal and china is stored become showcase conversational elements. Pull-out, rolling shelves make the perfect solution for storage and accessibility of games, movies and CDs. While built-in seating not only offers an additional hidden storage space, it also provides additional seating for parties and family events. Creating living spaces with flexibility provide the ability for your home to adjust to life’s ever changing needs with ease. 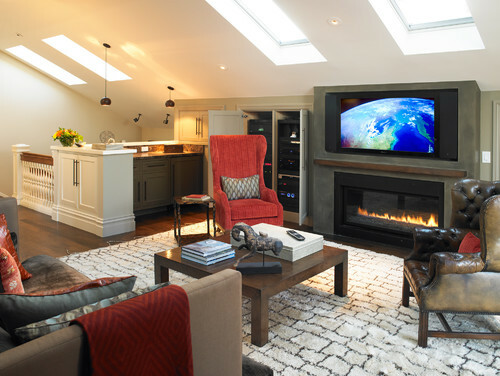 A well designed living room can easily become a game room or media room with minimal adjustments. Mid-level cabinetry with granite counter tops makes the ideal location for storage and can also be used as a built-in desk or bar as the needs of the room change. Large open areas allow for adaptability in furniture arrangements as well as offer options for creating traffic flow through the room. When building a custom home in Iowa, flexibility and storage are key elements for successful, long-term design that fits your life style today, as well as tomorrow. When you’re ready to put the concepts of Woman Centric Design into your luxury Iowa home, contact us and let us show you how to maximize your design for long-term beauty, functionality and flexibility.